B&b Empire Bagels | Oh No! Not Another NYC Food Blog! Breakfast/lunch bagel cafe on Clinton, a block from trader Joe’s in Cobble Hill. 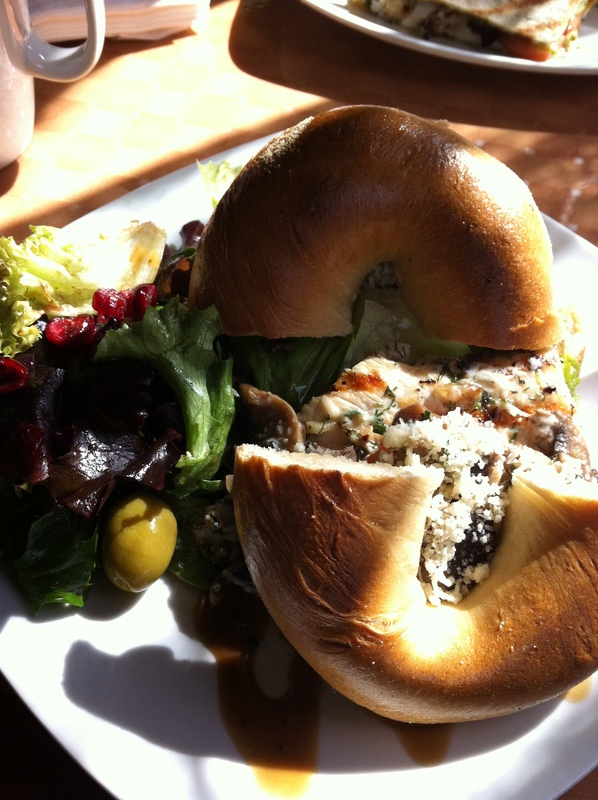 I had the Asiago Chicken Melt – Grilled chicken with asiago, mushroom & tomato on a plain bagel. This was a great sandwich. Juicy chicken, complex asiago mix, and good toppings on a soft, pillowy fresh bagel. The accompanying side salad was also an unexpected treat with mixed deep green greens, craisins, a light balsamic and green olives. 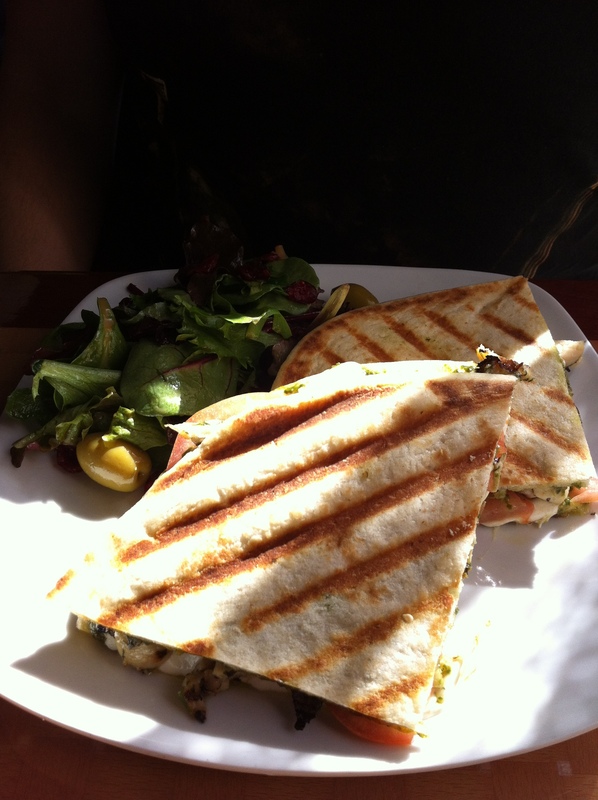 My DH had the Grilled Chicken with Mozzarella and House Pesto Panini – Also surprisingly good. The bread was soft and toasty, the pesto was bright and fresh, and his chicken was good as well. His also came with a side salad. Basic cafe with lots of honeyed wood and golden tones. Friendly and discombobulated. Everyone wanted to help us, occasionally at the same time. Not half bad for a blind pick. I will definitely have to keep this place in mind, if for no other reason than the bagels. If you visit the restroom, you walk past the doorway to the bagel making operation and can just see them prepping a fresh batch. They don’t have a huge selection of flavors, but the taste is really top notch. 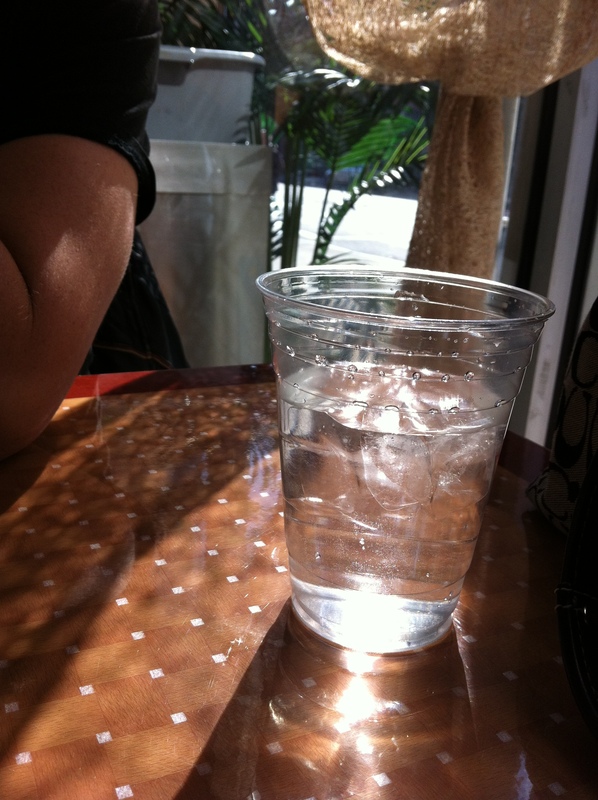 3.75 out of 5 for fresh bagels and a friendly atmosphere.